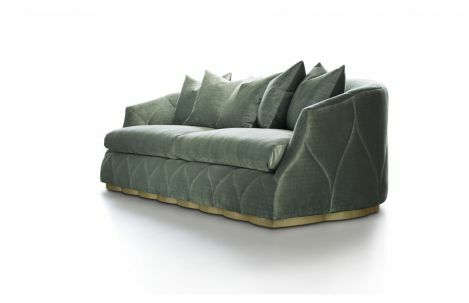 Custom Upholstered Chablis Sofa from Nathan Anthony. 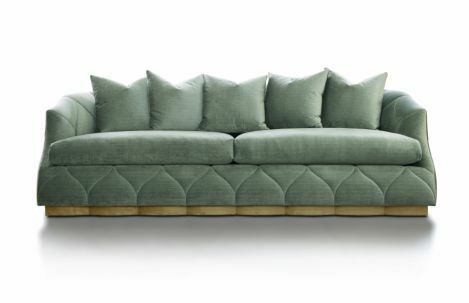 The Chablis Sofa from Nathan Anthony features Arabesque-inspired quilting that gently draws your eye to it's stunning scalloped wood plinth base. 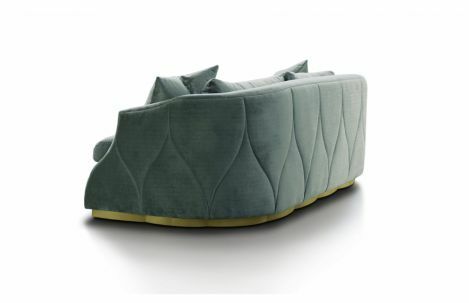 Available in several finishes and endless cover options including COM & COL.
Also available as an occasional chair.